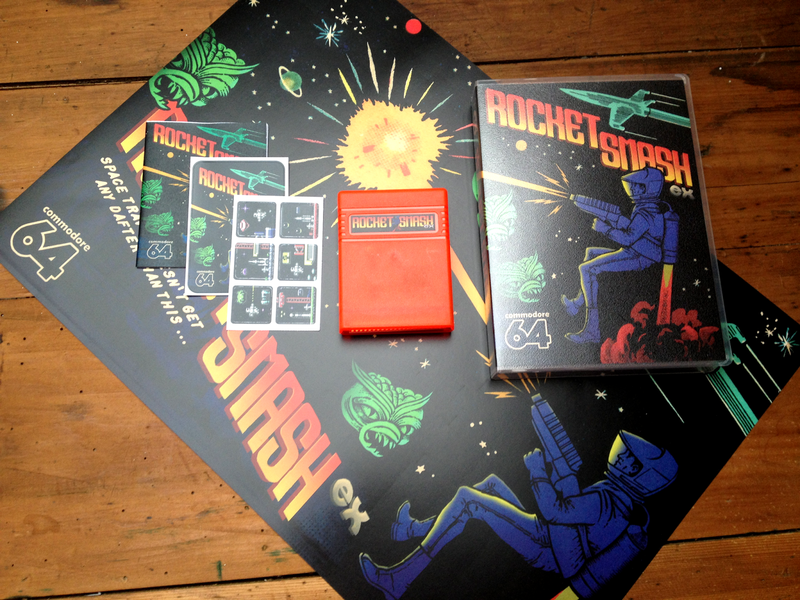 Here at RGCD we all hope that you enjoy the final version of ROCKET SMASH EX as much as we do. 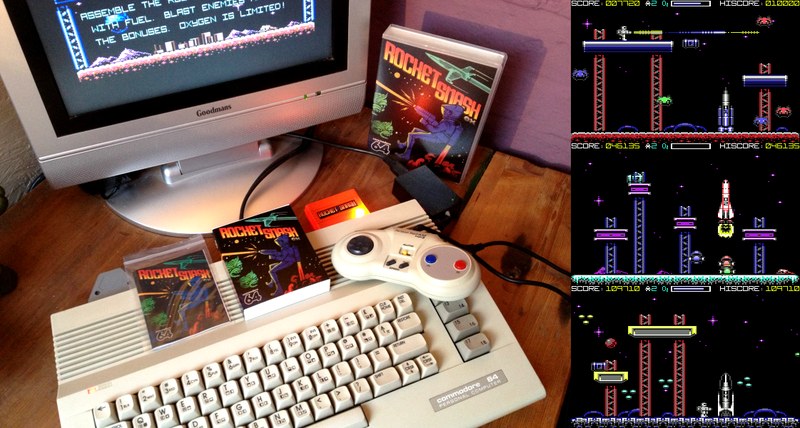 In fact, we hope that you love it enough to buy the game on cartridge from our online store! Priced at £25/30 (Standard and DX), we've done our best to create a package worthy of the release, complete with a fistful of stickers, a 1950's B-Movie style A3 poster and manual booklet. We've even included a secret Easter Egg game for you to find, courtesy of legendary electronic and videogame chip musician 4mat. Have fun finding it, and be sure to tweet us or comment below when you do! ROCKET SMASH EX is also the first game we've released on the new 64KB cartridge PCB from our partners at Shareware Plus, complete with socketed EPROM and housed within a transparent neon-orange/red shell with internal LED. Tim Harris has put a load of work into his range of available hardware over the past year (without which our RGCD cartridges would not be possible), so if you are interested in new Commodore hardware you should check out his forthcoming store. Talking of stores, ROCKET SMASH EX will also be available on 5.25" diskette and cassette tape from our comrades over at Psytronik Software when their Binary Zone store relaunches next month, so be sure to watch this space for news of its availability. But for now, you can grab the download (complete with VICE emulator) from the game's page on itch.io, and the cartridge from our online store.